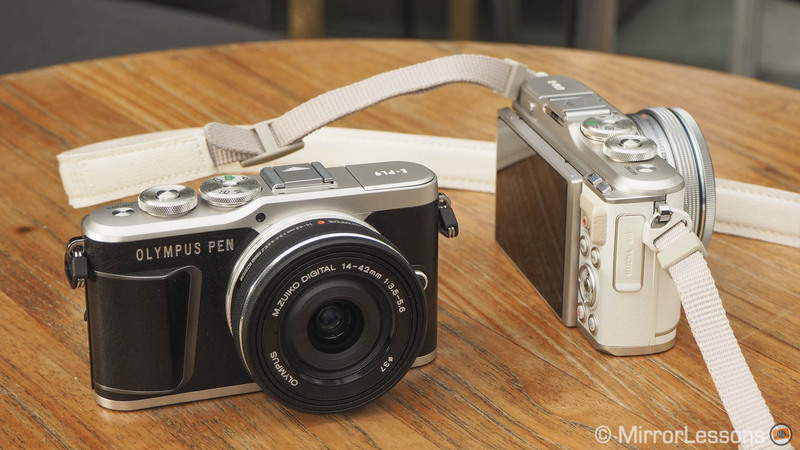 The E-PL9 is the latest addition to Olympus’ PEN range. 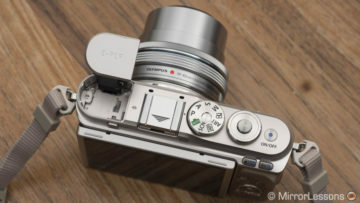 It sports several features that were first introduced on the E-M10 mark III including 4K video, the AP mode and 121 contrast detection AF points. You can find out all about it in our hands-on video below. As always, you can scroll down further for the text version! 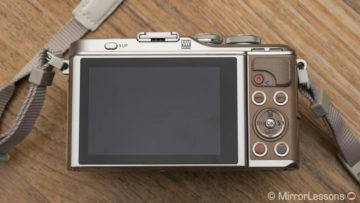 Note: in the video above, we forgot to mention that the accessory port is no longer present, so you can’t use an external electronic viewfinder on the E-PL9. On the outside, the E-PL9 greatly resembles its predecessor, the E-PL8, but the front has been updated to incorporate a larger grip which improves the handling. There is also a larger mode dial, a built-in flash which was missing on the previous model and a few cosmetic changes here and there. The camera is well built and feels very light in the hand. You won’t find a lot of connectors except for a USB 2 and Micro HDMI port. The battery is the same as the one used for the E-PL8. The LCD screen can be tilted up 90° or down 180° for selfie shots. However since the monitor tilts downwards, the selfie mode can’t be used when the camera is attached to a tripod. The screen is touch sensitive and can be used for various operations including taking a picture or setting a focus point. 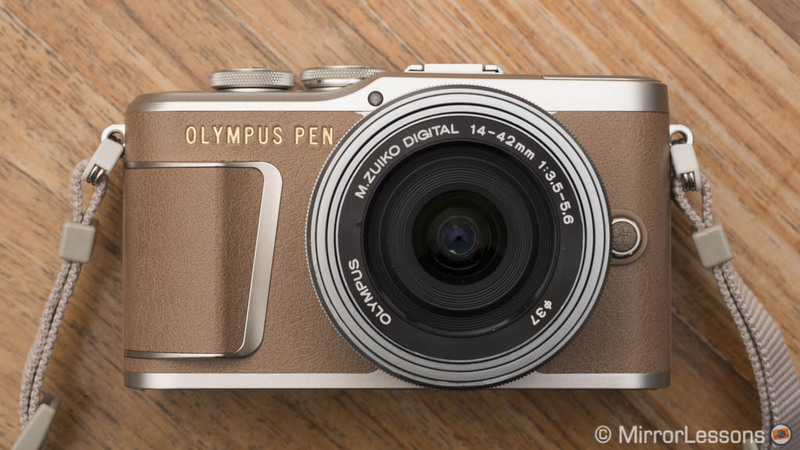 Because it uses the same image processor as the E-M10 III and the flagship E-M1 mark II, the E-PL9 is the first Pen to feature 4K video with a maximum of 30fps. You can record hand-held footage with pleasant colours but sharpness is somewhat disappointing judging from our initial samples. It may improve if you use a better lens than the 14-42mm kit lens. 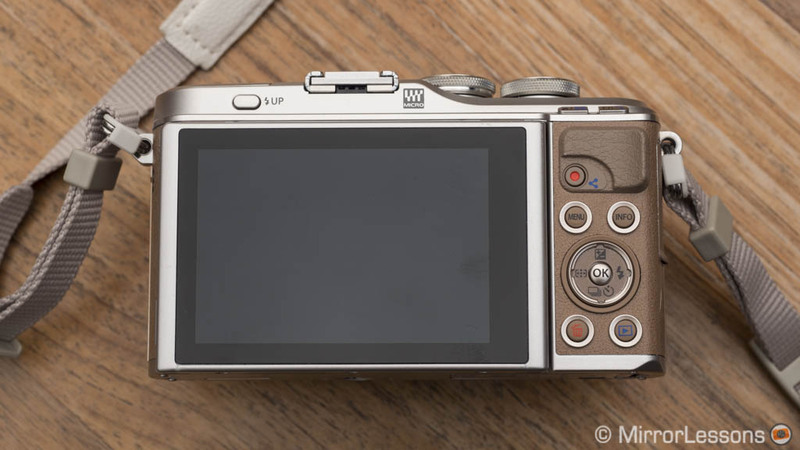 There is one important difference however: image stabilisation works on 3 axes rather than 5, which is the only thing that the E-PL9 didn’t inherit from its OMD sibling. 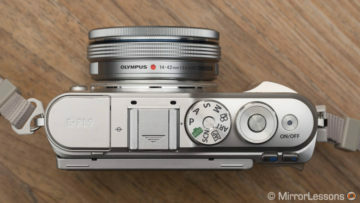 The camera features the AP mode introduced with the E-M10 III. It allows you to quickly select features such as Live Composite, Silent Shutter, Multiple Exposure or Focus Bracketing. 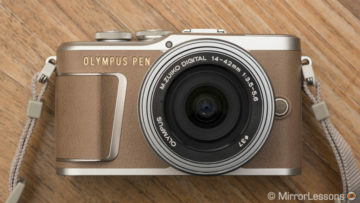 There is also a new Sweep Panorama mode, which makes the E-PL9 the first Olympus camera to stitch panoramas in camera. The stitched results aren’t always perfect however as some areas can appear somewhat blurry. Like the E-M10 III, the E-PL9 has been simplified in operation. In addition to the AP mode, you will also find a revamped menu system that is quicker and easier to navigate. However unlike its OM-D counterpart, the E-PL9 has retained a few extra settings such as the Wireless RC Flash mode. The autofocus system features 121 points but they only work with contrast detection like the previous model. It is fast and reactive in single mode but can also lack some precision in certain situations. The 16MP sensor is the same as the one on the E-M10 III, E-PL8, E-M10 II and many other Olympus cameras. While you can expect the same overall image quality, some minor improvements have been made to the JPG engine thanks to the latest TruePic 8 image processor. There are 16 Art Filters including Bleach Bypass and the new Instant Film filter. Other features include Wifi, which lets you remotely control the camera and transfer images to your phone, and Bluetooth, which allows you to maintain a constant connection with your smart device and import images even if the camera is inside your bag. The E-PL9 targets amateurs who want to upgrade from a mobile phone to capture better image quality without sacrificing an intuitive and simple user interface. The eye catching design is also a nice plus. The camera is priced the same as the E-M10 III and will be available from mid-March 2018.